The Metal Slug series has been one of the most popular run-and-gun video games for the Neo Geo console. The games were ported to different consoles and the PC, including a Flash title. 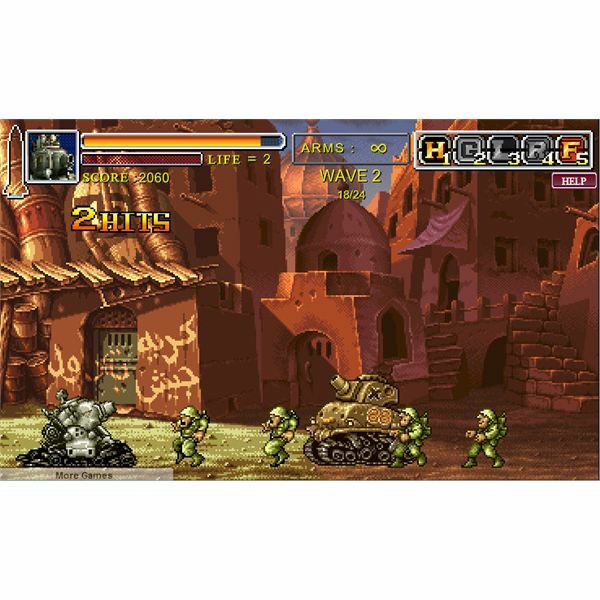 This online flash game uses sprites from the original Metal Slug game and creates a fierce battle tank game. A totally addictive action game, Death Defense puts you under command of a grungy-looking silver-grey SV-001, or Super Vehicle tank, with fire power ranging from homing missiles to laser beams. One of the plus points of this free online army tank game is the 2D graphics. Everything from the background to the sprites will make you feel nostalgic if you ever played the original game. Death Defense is a complete button-masher. Enemies start pouring in from the word go and you have over five types of weapons to eliminate them before they destroy your tank. Your opponents range from medieval warriors to the most destructive tanks, rocket launchers and assault choppers. If you like online tank action games, then you must play Death Defense on your browser. Tanks is an artillery style game that involves two or more tanks battling for supremacy on different terrain types, including dense forests, snowy mountains and sweltering deserts. But don’t expect any top-notch graphics. The game boasts plain 2D visuals with tiny armored fighting vehicles. Well, it’s not the visuals that matter in such games and I can assure you that Tanks involves some strategy and is not an out-and-out button masher. The battle takes place between two or more armored vehicles randomly positioned by the computer. You and your AI or human opponent will take turns to hit each other. To demolish your target, you will have to move your tank, set the position of the main gun, adjust height, speed, & fire power and press space to fire rockets. You win if the opponent’s armored attack vehicle gets hit twice. If missed, the rocket can affect the terrain and will leave pock holes that may push the opponent’s tank down, giving you an opportunity to destroy it quickly. The game is not lengthy, but fun if you are looking for a short burst of entertainment right in your office desk. 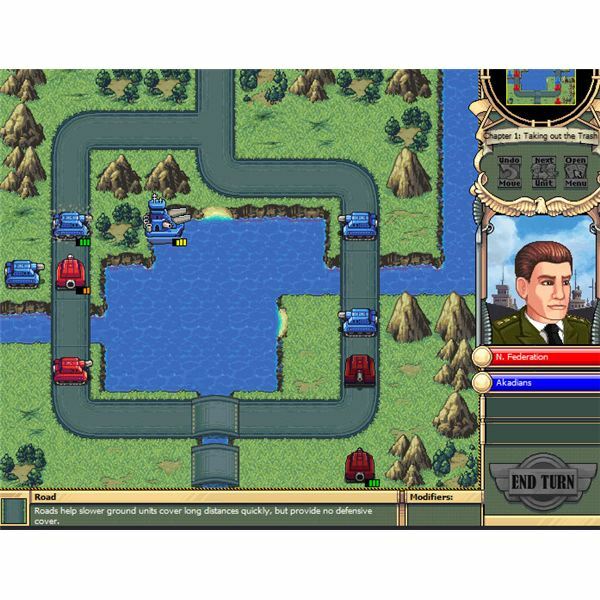 Battalion: Ghosts is one of the few online tank games with turn-based strategy mechanics similar to Advance Wars. Developed by the creators of the online turn-based tactics game Battalion: Nemesis, Ghosts focuses more on tank battles than battle between infantries, ships and aircraft. You and the AI team take turns to move armored vehicles and attack each other to gain military supremacy. There will be additional assault vehicles, including rocket launchers and armored vehicles armed with machine guns, but the main battle takes place between tanks and their variations. This online turn-based strategy game boasts visuals that very similar to Advance Wars (Well, you can call Battalion an Advance Wars clone). The cartoony graphics and maps full of forests, rivers and bridges provide a much satisfying strategic gameplay. All in all, Battalion: Ghosts is a must-play tank battle game online for strategy game lovers. 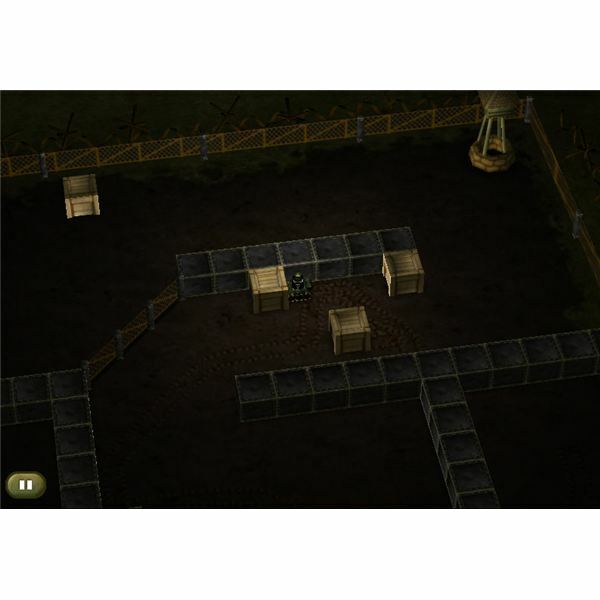 This battle tank action game from Miniclip focuses on one-on-one battle between two tanks in a maze-like environment. Your objective is to take out the enemy tank and raise your flag to achieve victory. Your armored vehicle can be controlled with the WSAD keys and the turret with the mouse. To shoot at your opponent, just aim and press the left mouse button. The fun part of the game lies in shooting down your opponent’s tank. The shells bounce back like tennis balls when they hit a metal object. The ricochet helps to take out a tank hidden under destructible objects. The graphics in TANKS are excellent. The 3D models of armored vehicle can be controlled from an isometric perspective. Some of the levels have a night mission mode that makes this game impressive and engaging. Every mission has a new objective and a completely new maze-like level. You will have to find out and destroy the enemy armored vehicle before it takes you out, and remember the shells fired by your enemy ricochets too.